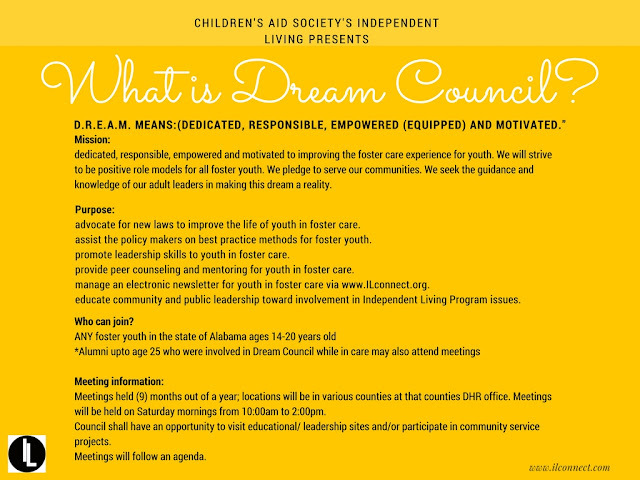 Every wondered what Dream Council actually is? Well here is a break down with all of he answers to your questions! 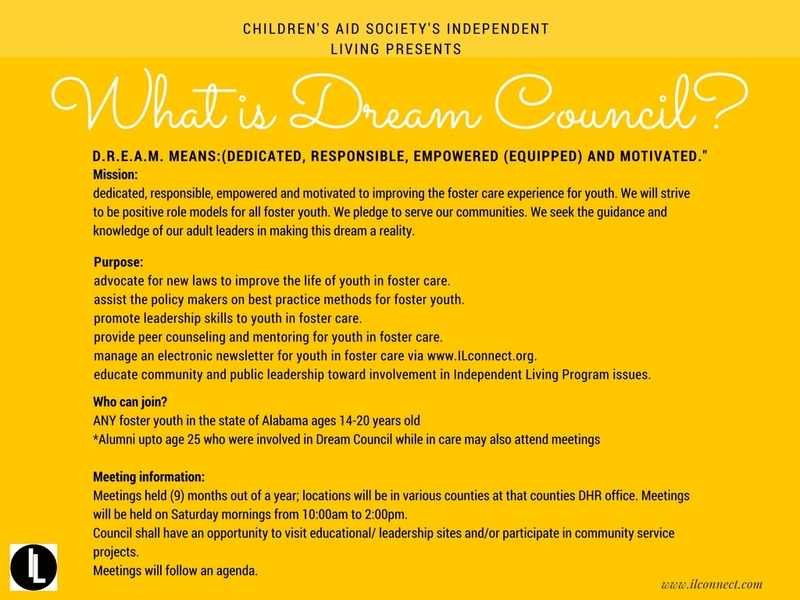 We are focusing our Dream Council meetings to now target specific counties around the surround areas where we will be visiting to help make it more accessible! Do you know a foster youth who is in a foster home in the area we will be visiting? They are invited too! SHARE SHARE SHARE! This is beneficial to ALL youth ages 14-20 in Alabama. Older than 20? We accept alumni as well! More info to come on that soon!